You are at:Home»Lunchtime Treatment Guides»What is Non-invasive skin lightening? Non-invasive skin lightening isn’t a new phenomenon, it’s been happening for many years. Men and women alike have the desire for lighter skin and nature has provided several options to fulfil that desire. It is not rare for those of a darker complexion to want a lighter one, due to the unexplainable negative stigma associated with darker skin. However, this behavior is frowned upon by those in the darker skinned communities. This behavior is thought to be done by people who have low self-esteem, a poor self-image, hatred for themselves and their race. While that is the belief held by those within the community, perhaps the intentions of those who wish to get such treatment aren’t as evil as people assume them to be. The origins of the stigma are unclear but a good place to start looking would be both the media and beauty industry. Both industries are dominated by people who are of a certain skin colour; fair or white. The underrepresentation of dark-skinned people in the public eye can be blamed for people wanting to undergo skin lightening treatments. The lack of dark-skinned models, actors and celebrities result in a severe lack of role models for children to look up to. With only white people being presented to the public through mass media, those who are not of that skin colour or race group may feel the desire to look like them and thus, turn to skin lightening procedures to achieve their results. The issue arises when people who have pale or fair skin decide to darken their skin through tanning or cosmetic procedures. There is no stigma attached to such procedures being done, neither is there any issue when they want to do it. Yet when dark-skinned people wish to lighten their skin, they’re seen as self-haters who should undergo multiple counselling sessions and self-love therapy. This double standard should and must not exist in our society, and it is our duty to see it be banished. People should have the freedom to do whatever they want with their skin, be it lightening or darkening. Skin is the outer covering of our identity and who we are on the inside. The way a person looks does not define the essence of their being, their character must matter most. This changing of their skin colour may be the key to the person’s confidence and make them feel more comfortable with themselves. The non-invasive ways of changing the skin colour are the skin lightening creams and skin bleaching pills. It is very important to consult a specialist or dermatologist prior to actually undergoing such treatments. 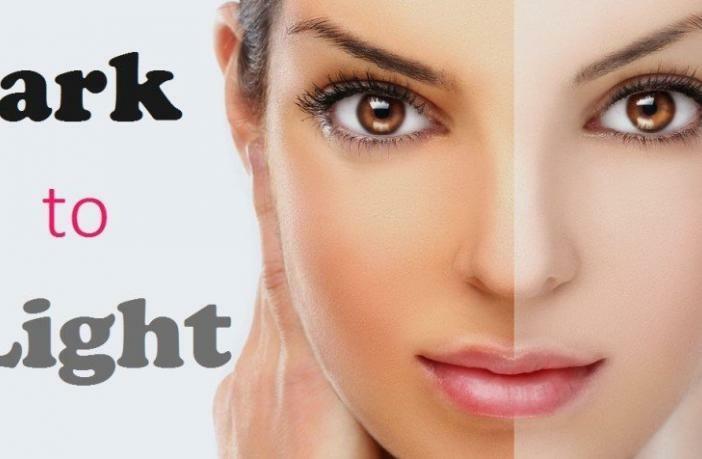 This is because Caucasian skin can react differently to the procedures, compared to darker skin. Aside from the clear physical differences, Caucasian and ethnic skin also have distinct differences between their structures. Few dermatologists have the knowledge of these structural differences, hence it is hard to find a dermatologist or skin specialist qualified to successfully treat ethnic skin. Skin lightening treatments are also turned to for fixing issues such as hyperpigmentation, dark spots, blemishes and melasma. These issues are relatively common, hence the rising popularity of both lightening and darkening treatments. 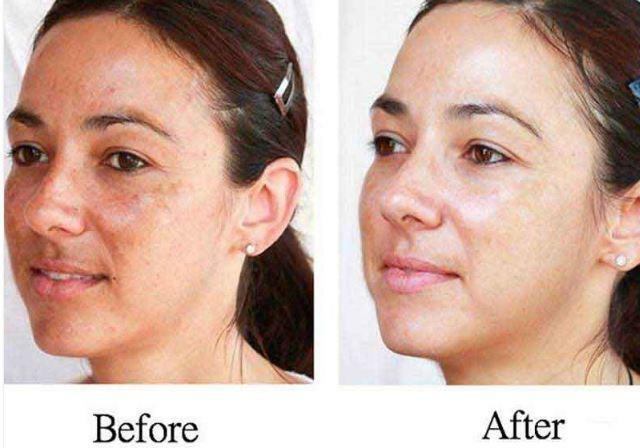 Skin lightening creams provide a noninvasive solution for those looking to achieve their desired results with little to no pain or downtime necessary. These treatments are especially popular among darker skinned women. It is important to consult a dermatologist prior to agreeing to a procedure as you may have sensitive skin or dermis. Consulting a professional means you will get the most suitable procedure and products the first time around and you will not have to keep switching products. That is a harmful thing to do as you may inadvertently stress out your dermis. So after thinking about it, doing your research and consulting a dermatologist, you find that you still want to undergo a skin lightening treatment then, by all means, go ahead. Whatever changes you decide to make to your outer self, be sure to balance that out with positive changes to your inner self too. Real change only comes when you are the best you can be in every aspect of your life, inner and outer.